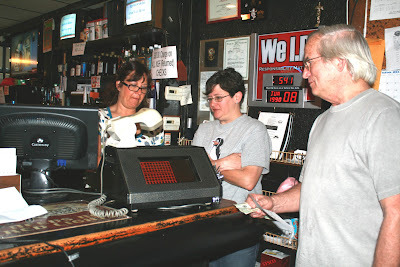 Rhonda Walford, left, takes numbers for Keno from R.W. Bruce while Shanna Thayer (middle) stands by to answer Walford's questions. 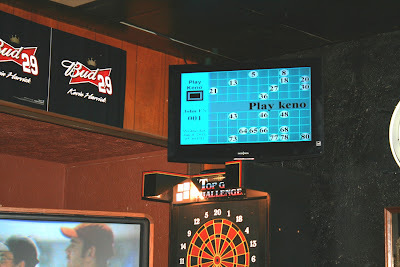 Keno returned to Exeter Wednesday evening June 8th, at John E’s Bar and Grill downtown. 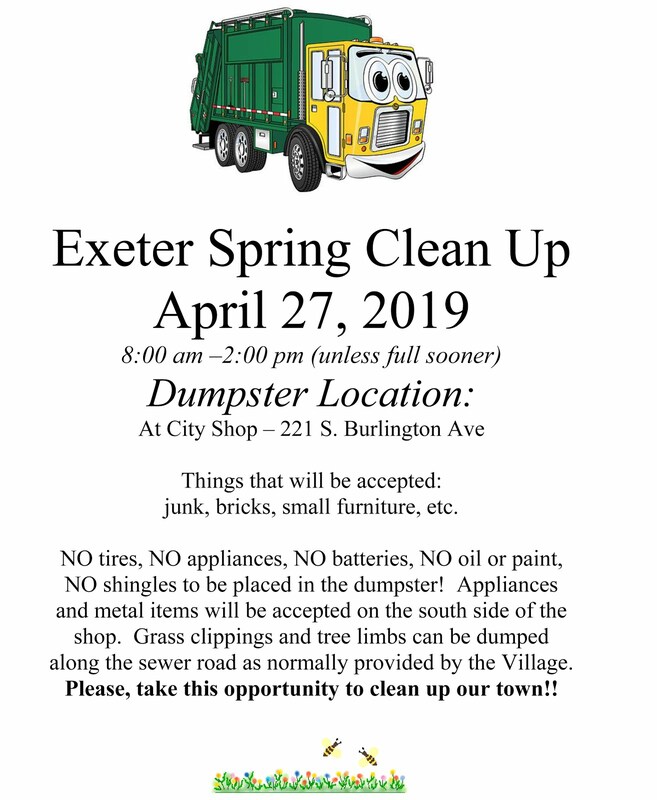 Administered by the Village of Exeter through Zeilinger’s Keno John E’s has already paid an $1800.00 winner according to bar co-owner John Graham. During the Exeter Village Board meeting held in May, the board approved Resolution 11-4, which granted permission for John E’s to host Keno. 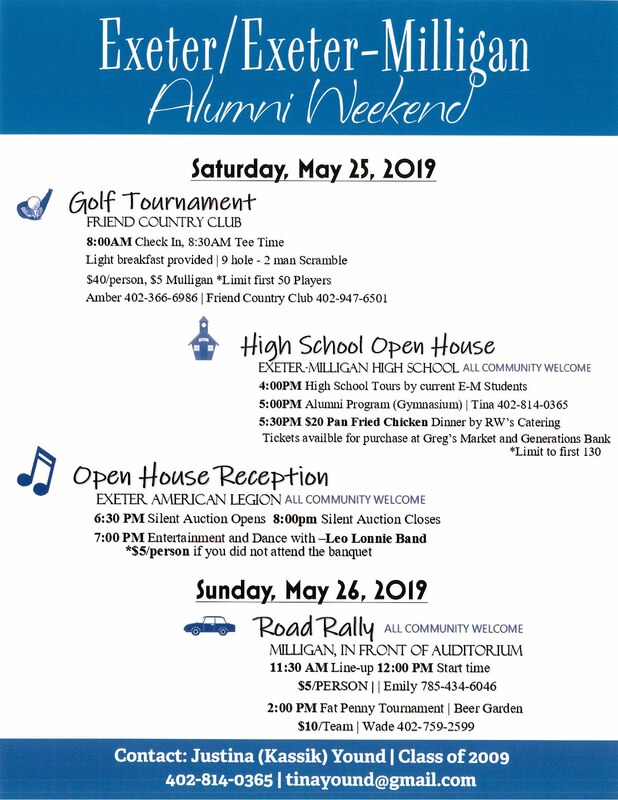 The board reviewed the resolution and passed it unanimously noting that in the past Keno has raised over $100,000 in funds for the community. 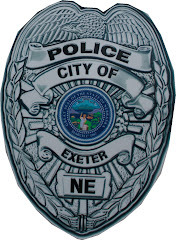 The Exeter Village board reviewed Ordinance #377 which was passed December 3, 1991 and amended December 10, 1991 in a special meeting. Once amended the ordinance allowed for spouses of Village Board members and the Village Clerk to play Keno but restricted the Board Members and the clerk as well as on-duty employees at the bar from playing. The Board decided to keep the ordinance as it was, maintaining a strict policy of playing. Graham was a little concerned with the restraints of the original ordinance but found the amendment workable.“We are excited to bring Las Vegas Style Keno Gambling to Exeter. 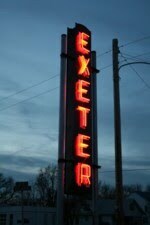 We hope the Keno to bring additional revenue to the Village of Exeter. We are not a satellite of the Denton Daily Double but instead we have our own computer draw,” said Graham. John E’s plans to hire an additional employee on weekends to help with the additional duties that the new gaming station requires but sees that as a boost to the community as well. Currently the scheduled hours for Keno at John E’s will be Monday through Saturday from 4 p.m. to 1 a.m. and Sunday’s from 2 p.m. to 10 p.m.
Other venues in the area also offer Keno including Milligan, Geneva and Waco.